Why are car keys and house keys different? When inserting a car key into the ignition, I am able to do so quickly and easily, without having to carefully line up the key with the keyhole. I can do this despite the fact that the keyhole is usually behind the wheel, in a spot I can't even see. Most car ignitions seem to have a "funnel" around the keyhole to make things easier, guiding the key into the ignition. 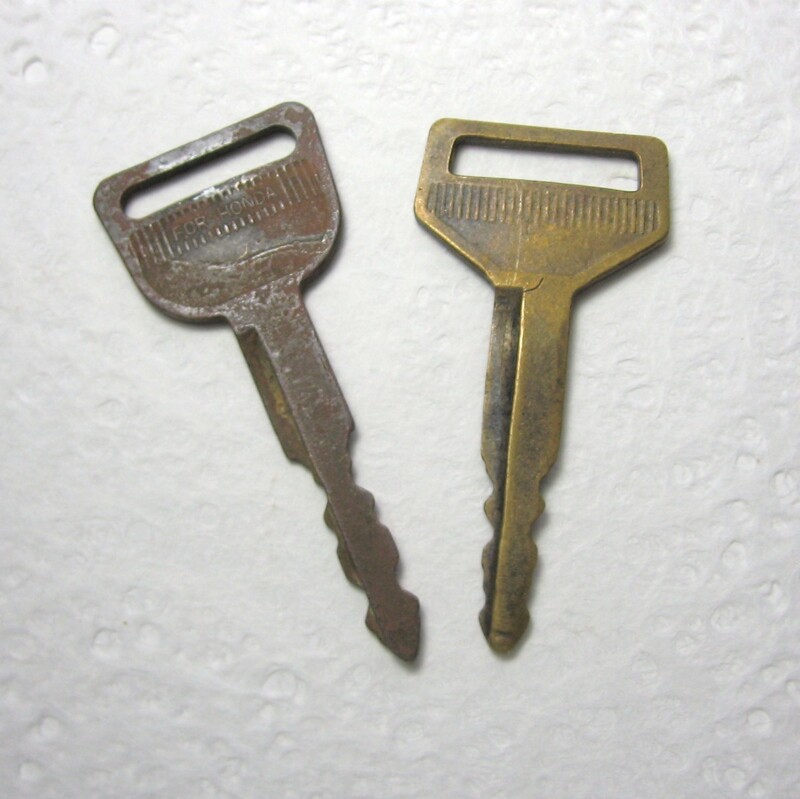 House keys, on the other hand, are not quite so user-friendly, and require careful alignment of the key and keyhole. More than one attempt might be required if the key misses the keyhole by even a little bit. Attempting to insert the key even while looking at the lock isn't guaranteed to succeed on the first try, and it becomes downright difficult if it's dark out or the lock is otherwise obscured. Is there a reason why these are designed differently? I'm not asking about cut-edge vs. grooved keys, or electronic chip access, but rather the actual process of inserting the key into the keyhole. So far, comments have discussed the idea that since houses are a bigger investment, there's less competitive pressure to improve such a small component of the whole. 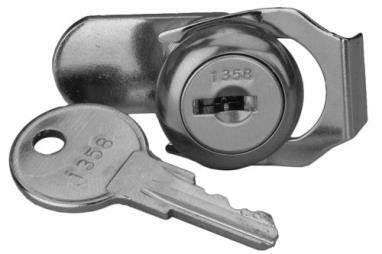 Still, it seems to me that locks can be easily replaced, and that a lock with a similar "easy-insert" design wouldn't be particularly more expensive than a regular door lock. However, I have never seen a door lock of this type, which strikes me as odd. It seems to be better design, and not any more expensive, which is why I'm looking for a more compelling reason for its nonexistence. The problem of alignment isn't really with the actual lock, it's with the covering outside of it. Not all lock-key systems are the same. Notice the hole in the center for the key? Once the key enters this, there's a gap that the key needs to travel before actually entering the part of the lock. The issue with alignment is because of this gap. I am not completely sure about car keys back in the day but from what I could find out, they used to be similar to house keys. With passing of time, cars became fancy, added ton of electrical accessories and started using newer technology for ignition. All of this led to less space for everything which led to making everything smaller. You have to understand that each key IS UNIQUE but there's a lot more to this keyhole than just unlock the car. 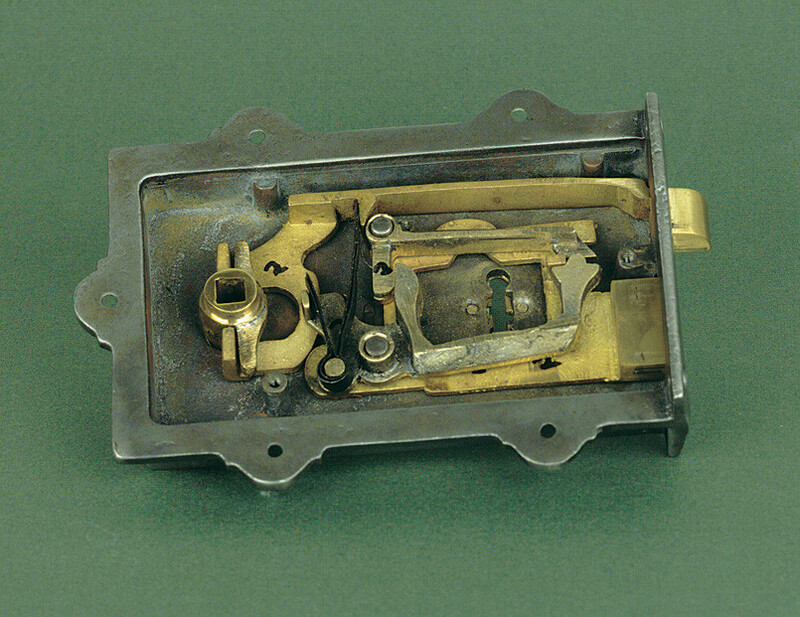 The spring mechanism REQUIRES the key to be tightly/closely fitted into the slot. While I don't have any scholar study on this, but I believe that there are a number of reasons that converge to form a psychological matrix. Technically speaking, there are no real reasons not to use the same type of keys for cars and houses. As a matter of fact, old cars used "house like" keys. 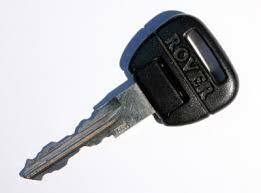 When you get into your car, you expect to simply use your key and the engine will start. You can't go under the wheel to see where to place your key, so it has to work in any position you insert the key (warning: there are exceptions). 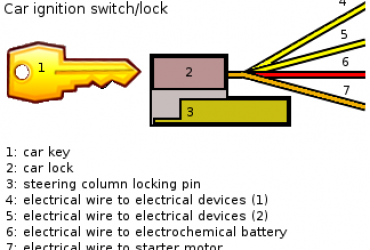 Security is not provided by the physical aspects of the key, but the electronic parts. Moreover, locks and keyholes only "read" one side of the key, so even in older cars with 2-sided keys, the "teeth" are identical to allow for this behavior. Now, when we think in our home, most users will ignore technology advances and will prefer the old analogical security they have known for centuries. Physical security is tangible and less prone to be "hacked". So, a key that is easy to put in any way and still work will scare more users! Keys have to be complex, with many teeth, double sided, magnetized and anything you could think of. Ease of use is not a concern, only that your lock is unbreakable. This is why physical solutions outperform electronic solutions in user's preferences. For every electronic solution (electronic keys, proximity keys, trasponders, etc) there must be like 10000x physical keys. Think about this: on most people's mind, a big man is stronger and more reliable than (say) Alan Turing. So users will choose the big man over the scientist 99 of 100 times when it comes to security. Even though Alan Turing was a big part of winning a war! Simply put: users want to see, FEEL the strength, the physical sensation of security, they won't care much for virtual security. Car keys are meant for fast and easy use. House keys are meant for security. 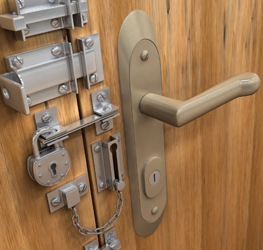 The keys to modern house locks can only be inserted in one orientation. Turning the key often moves more than just the main locking latch, e.g. it may also move additional locking bolts above, below or around the door. Also, many house keys rotate 180 degrees or more to unlock the door. There are more valuables in your house than in your car so security is higher, plus they provide safety to you and your family while you are sleeping. 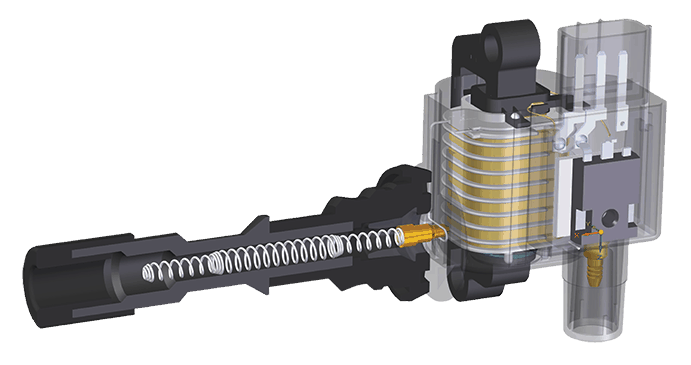 A car's ignition lock is typically on the side of the steering column where it is not very easy to see when seated in the car, and this is why the ignition key is designed to be inserted in any orientation, i.e. if you cannot see the lock then make it simple to insert the key without checking you have key oriented like a house lock. Also, to start the ignition, the key only needs to turn a few degrees (aprox 30-45 degrees) to make the electrical connections that fire up the engine. Most criminals can break into your car easily and can defeat most car security feature. There is so much wrong lock-related information in a lot of these answers. You're asking a security question from a UX perspective in UX and got UX answers. House locks are designed to be operated in a well lit area with clear view of the lock. 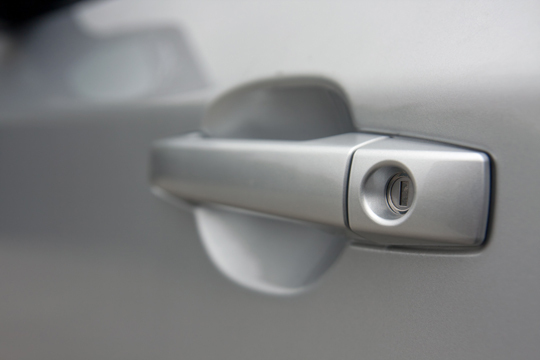 Car locks are designed to be operated poorly lit areas with possibly obstructed views of the lock/ignition. House key lock designs stopped evolving when it became easier to break a window then break a lock. That's why the modern $15 house key lock looks the same as a century ago. Now the driver for house lock innovation is convenience, so we see pin pad locks and other keyless solutions. This raises the difficulty to compromise the lock (for now), but no one is breaking into a house using a compromised lock anyways. A brick through a window is faster and cheaper. This is why when you goto a home improvement store you see x number of manufacturers selling y number of different finishes of the same lock. People are shopping on price, color, and convenience, not security or ease of use. On the automotive side, once manufacturing made it effectively the same price for automotive companies to deploy locks with two sets of tumblers (it's not really two sets, but a clever use of a single tumber) it made it incredibly difficult for your average locksmith to pick a car lock. This meant that your average low skill thief could no longer gain entrance into the car without breaking the window. So what did thieves do, they started using screwdrivers and custom-sized flat blades, hammer them into the locks, and break the locks. So then automotive manufacturers added alarms and electronics. In the early days, the alarms and sensors and key interfaces for controlling them were obnoxious and poorly implemented. It became a selling point to have car security you didn't have to see. This is all background info to get back to answering your question. Car key/lock combos are designed around ease-of-use because it's a selling point, automotive consumers want easy to use security they don't have to look at. Whereas your average homeowner cares more about having a matching finish because they get their piece of mind security from a one-sided deadbolt. Really, there are many reasons. Just think it through, you can probably expand this answer with your own. This is true in general. Not the answer you're looking for? Browse other questions tagged interface physical cars automotive-ux buildings or ask your own question. What's the best type of car key? Why many car manufacturers still use gearstick / gearshift for automatic transmissions?